Pressure is increasing from nongovernmental actors to incorporate food more concretely into municipal policies and plans. 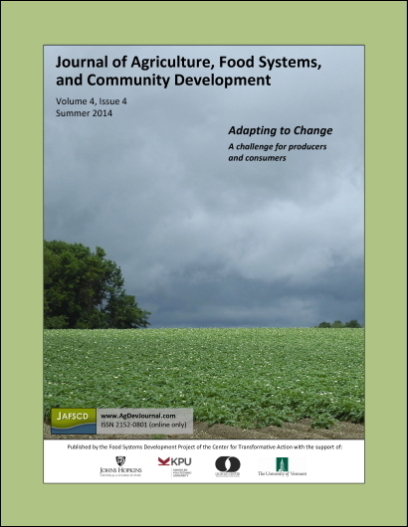 A qualitative case study of Buffalo, New York (USA), demonstrates that incremental, persistent food systems practice and advocacy by nonstate actors, a group we call the "rustbelt radicals," followed by their collective engagement with municipal planning, can lead to transformations in municipal policy and planning for strengthening food systems. The paper concludes with seven factors that enable "rustbelt radicals" to transform local food systems plans and policies. Department of Urban and Regional Planning; Community Health And Health Behavior; 05p Hayes Hall Annex C; University at Buffalo; Buffalo, New York 14260 USA; +1-716-829-5881.